What are Tivo and Channel Seven thinking? I can’t believe this. Flexirent for $37.58/month over 3 years = $1352.88? Is this a mistake? Is the extra charge related to the financing, or do you get a better model with more online options that the $699 model doesn’t give you? Maybe they’re trying to tap into some market where they think people don’t have $699 upfront to spend, but could afford $37.58/month. But if so, those consumers should just buy it from some store with a No Deposit, No Repayments, No Interest offer for 24-36 months. It would be MUCH cheaper. In any case, I’m not convinced that extra services like buying pizza will bring in more consumers to the Tivo. Chances are – if you have a Tivo, then you probably have an internet connection (to take advantage of the electronic TV guide), which means, you probably already have a PC at home connected to the internet, which means you can already order pizza online through the web. The Tivo UI is way too slow for my liking, and unless they somehow made it much faster to use, I would rather use my PC which is constantly on to order pizzas online, than to turn on the TV, click on Applications in Tivo, then to Pizza, etc. 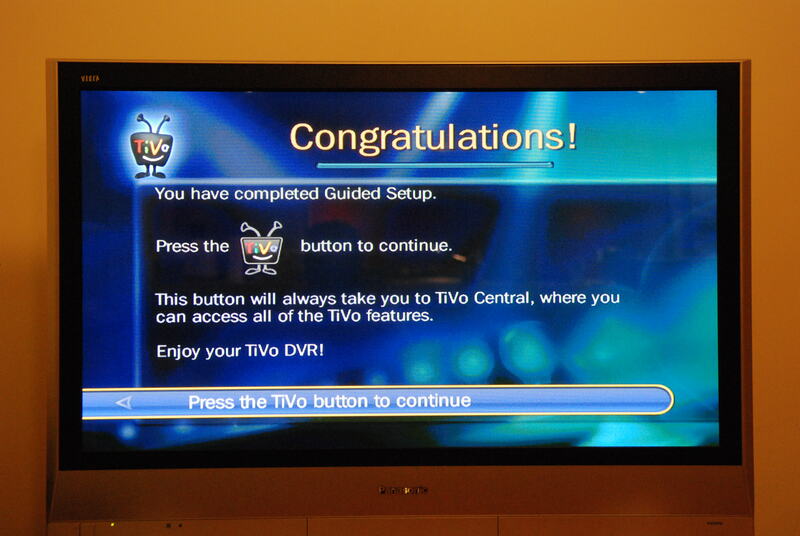 I wonder what it will take to get the Tivo to succeed in Australia. They should at least make the specs competitive with other HDD recorders out there (eg. larger hard drive) and provide an ability to get the videos off. I think the pricing should be more competitive too as many of my friends balk at the price (although some have bought more expensive Topfield’s – but were attracted to the larger HDD and ability to get shows off). Tivo should also increase the marketing so that when consumers are choosing a PVR/DVR, they should see that the Tivo has season passes and an inbuilt free electronic TV guide – these are in my opinion the strengths of the Tivo, and I wouldn’t be surprised if most of the general public don’t understand/realise this. This way, there shouldn’t be any reason for consumers to buy a “dumb” PVR/DVR again. It will be interesting to see if these changes make any difference. Actually, I’m more interested in seeing what Tivo hardware changes are in the pipeline. I’m really looking forward to a bigger hard drive as now nearly every program has that exclamation mark on it warning it will be deleted sooner than expected. And something I found today – I should be able to record shows from clicking on them in the Yahoo TV Guide website! Unfortunately, it didn’t seem to want me to connect my Tivo account to my Yahoo account. Time to contact support. Are downloadable movies on Tivo worth it? It seems that the Tivo service is being expanded little by little in Australia. First they introduced a weather page where you can look up your local city’s forecast. It looks pretty, but it’s a little slow to navigate to. But the big thing that’s coming is downloadable movies to the Tivo. That’s right – you’ll be able to download a whole movie from the internet onto the TV to watch. The first movie this weekend, “The Water Horse”, will be available free of charge, but I think they’re planning on charging in the future. I think they plan to make it more of a “Movie on demand” type feature in the future, so I could choose from a range of movies. I really wonder if this will pick up. I mean – the information so far says that this weekend’s movie is 2.45GB. This will of course will be included as part of your ISP’s internet downloads. I’m currently on an iiNet $59.95 plan which comes with 15GB peak, 30GB offpeak = 45GB each month. At these rates, 2.45GB works out to be $3.26 worth of my plan. At this cost, plus plugging up my internet connection for a while to download it, I think I might as well drive to the local video library and borrow it on DVD. And it will only get worse when they start charging for movies themselves. I can only see this taking off if they make the movies very cheap to buy, or if they strike deals with ISPs to include the traffic as free traffic (like how iiNet has made iTunes and ABC’s iView traffic “free”). Currently we’re on Broadband 1 type speeds (still waiting for an ADSL2 port at the exchange) with a maximum download of about 1MBit/sec. If my calculations are correct, if I was able to achieve the full throughput, 2.45GB would take 5.84 hours to download – I suppose this could be done overnight – but this kinda ruins the whole “let’s choose a movie to watch tonight” plan. At my current internet speeds, we’d have to choose it the night before! How about if you had a different plan? Let’s pretend that the casual Mum and Dad is on iiNet’s home 2 plan which is $39.95 for 10GB of downloads. The movie then works out to be $9.78 in download costs alone!! Whoa.. If you have a Tivo and plan to download movies, I’d definitely recommend calculating whether it’s worth it for you. I suspect it would only be viable for people with massive download quotas. And then it will take up valuable space on that tiny Tivo 60GB hard drive. Some exciting news today – it is the official release date for the Tivo in Australia. So what does that mean? Aren’t there boxes out there that record TV already? Yes there are. But the thing about Tivo is not what it does (record TV), but the way it lets you do it. It’s a paradigm shift. The old VCRs (Video Cassette Recorders) and most of the PVRs (Personal Video Recorders – really a DVR) – out there now are basically dumb. You, the viewer, need to know what show is coming up, what time it is, what channel it is on. Then you can program the VCR/PVR to record that channel at the right time. Sure, some are a bit smarter – they may show you a little of the TV guide, but in Australia, the TV networks don’t make proper use of the EPG (Electronic Program Guide) capabilities of DTV. Some may allow you to configure a periodic recording – for example, record the same show every day at the same time, or each week. These type of recorders are an example of technology assisting you rather than controlling you. Three years ago, I started my attempt to get/build a smart recorder. I evaluated importing a Tivo from the US and modifying it for Australia. 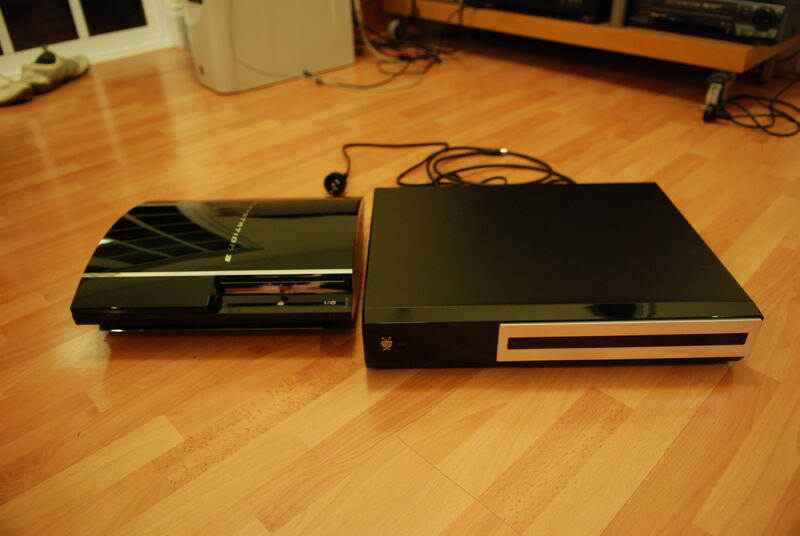 However, it seems that the US had moved on version 2 boxes. I decided to resurrect my Linux project by using an old PC, installing Ubuntu (a Linux OS) and putting MythTV on it. I bought a cheap DVICO Dual HDTV Tuner card. For me, it took me HOURS to sort through Linux installation problems with my wireless card, video card and TV tuner. Then setting up the EPG to read from a “free” EPG server in Australia. But when it worked, it was magic – the entire TV guide was shown and colour coded by genre. I could just click on a show and decide to record once, record each week, record anytime that show comes on, etc. I had Formula 1 races, all the rally shows, episodes of Bob the Builder for the kids, ABC’s Compass every Sunday, Australian Idol, any program with the word “dance” as a keyword in it taping automatically. In fact, it recorded too much TV for me to watch! Unfortunately, my PC died (motherboard capacitors popped) and I couldn’t be bothered to start again. Especially since it took hours to get it going. What the Tivo does is bring that type of interface and usability to the mass market. No Operating Software or hardware to install or tinker with. * If you’ve set up a MythTV box, then you probably don’t want to go to Tivo. And you already know why. For others – MythTV, being a custom application solution developed by a worldwide community has lots of extra functionality like automatic ad detection and removal, automatic recompression into other formats, remote controllable via a web browser (eg. tell MythTV to record a show from work), server/client architecture, plugins for web, DVDs, music, games (eg. MAME), etc. I believe there are even plugins to get the closed captions and search on that. * It won’t automatically detect and skip ads (see above). * If you have a wireless network, then you have to fork out extra for the wireless card. 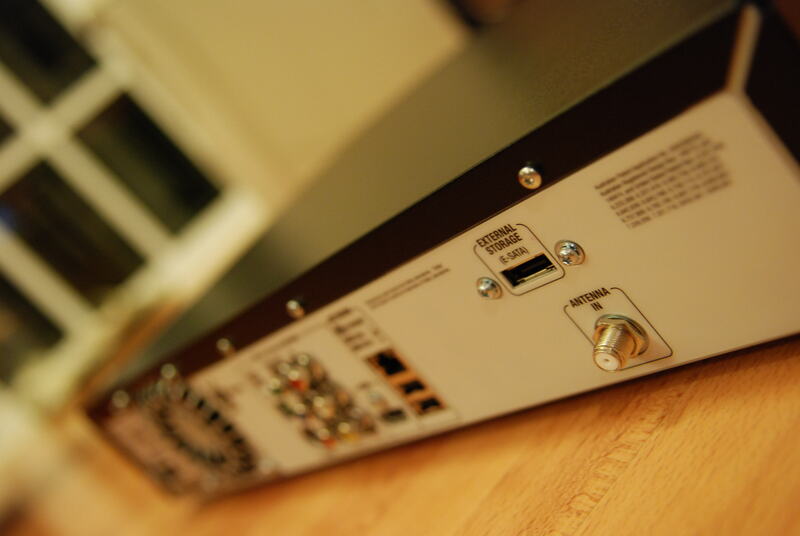 Of course, if you’re building your own HTPC, then you’ll have to buy all the hardware anyway. * From the information I’ve read, the Tivo is fixed to using channel 7’s EPG. The good news is that it’s legit. However, I’m wondering if it will have as much information on each show as some of the community run EPG’s out there or ICE. * May need to pay for upgrades to the firmware. I hope not – but it’s a possibility. So will I be rushing out to buy a Tivo today? Hmmm… I do know that I now have less free time than I used to, so I don’t really have the time to set up a MythTV box again.